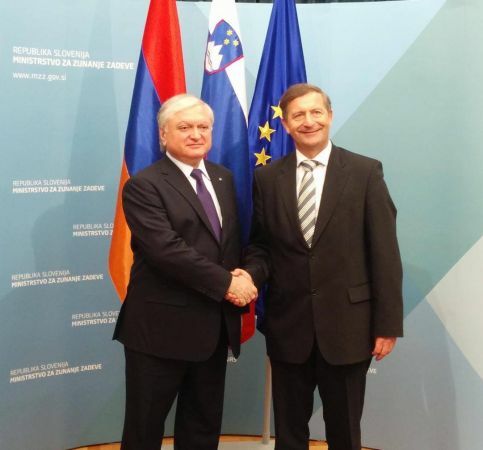 Armenian Foreign Minister Edward Nalbandian met with his Slovenian counterpart Karl Erjavec in Ljubljana on Monday. As the press service of Armenia’s Foreign Ministry told EAD on Tuesday, Nalbandian and Erjavec agreed to make additional efforts to intensify political, economic and trade relations between their countries and to hold regular consultations between their ministries. Nalbandian reconfirmed Armenia’s readiness to deepen its relations with the EU in all directions based on the achievements recorded in recent years and with due regard for its obligations to other international integration formats. Nalbandian told Erjavec about the latest developments in the Nagrono-Karabakh peace process and the efforts of Armenia and the OSCE Minsk Group co-chairs to settle the conflict by peaceful means. 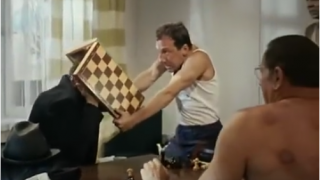 Erjavec said that Slovenia also wants this conflict to be settled peacefully.